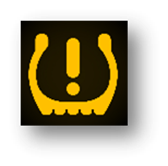 ChipsAway Blog | What do dashboard warning lights & symbols mean? 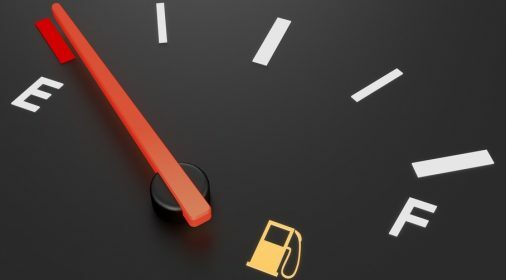 Have you ever wondered what all those little light symbols on your car’s dashboard mean? The ones that turn on when you start it up and hopefully then go out again! It’s certainly a good idea to find out if you don’t, to make sure you don’t do any irreparable damage. 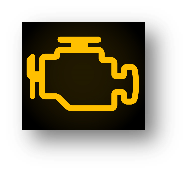 If this is illuminated it means there is an issue with your engine which probably needs checking by a qualified mechanic. It may be down to a minor electrical issue, but it could also be something which if not checked straight away, could lead to further and more substantial damage. 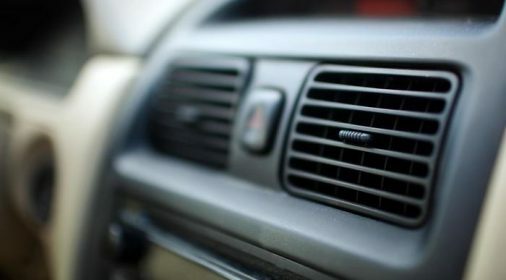 This indicates the temperature of the engine is too hot and may just be because the coolant needs topping up, but it may also be due to a leak in the system or an issue with the fan, so if it keeps occuring it is worth getting it checked out immediately to avoid potential further damage to the engine. 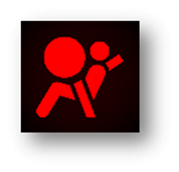 When there is an issue with your airbag it may go off unexpectedly, which would give anyone quite a shock, but it also may not go off when needed, which could cause serious injury. 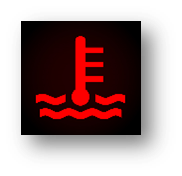 It is therefore worth getting this checked out ASAP if it is appearing on your dashboard! 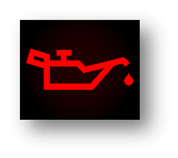 This light indicates that either the oil pressure or level is too low, or the oil temperature is too high. Obviously oil lubricates the engine, which is essential for it to run properly, so it is important to regularly check your oil level. If the light stays on even with the correct level, then you should get it checked by a professional ASAP. This light means that your tyre pressure is not what it should be so it is worth checking your tyres for any punctures or they may simply need a little more air in them. 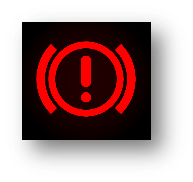 But, if this light appears along with the brake system warning light (below), you should bring the car to a gradual stop as soon as it is safe to do so and ring for assistance, as braking will be seriously impaired. This light will always appear if the handbrake is applied, but if it still shows when the handbrake is not engaged it may be due to your brake fluid levels being too low. It may also be because your brake pads are worn down or because of an issue with your ABS. 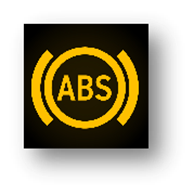 Safety-wise, your braking system is one of the most, if not the most, important aspect of your car and it is i crucial that they are working correctly, so make sure you get it checked out properly if this occurs. 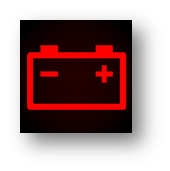 The battery light will come on momentarily when you start the car but if it doesn’t turn off, it signals an issue with your car’s electrical system. This could be down to a fault with the battery, a connection or perhaps the alternator or drive belt. To make sure you don’t cause further damage to the engine, make sure you pull over when it is safe to do so and call for assistance. 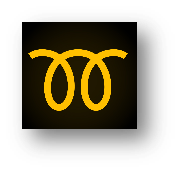 This light (only for diesel cars) will illuminate when you turn the key to the first click, and after a few seconds should go off meaning it is then OK to start the car properly. If it doesn’t go off, it may indicate an issue with the glow plugs and is worth getting checked as the car may not start correctly. 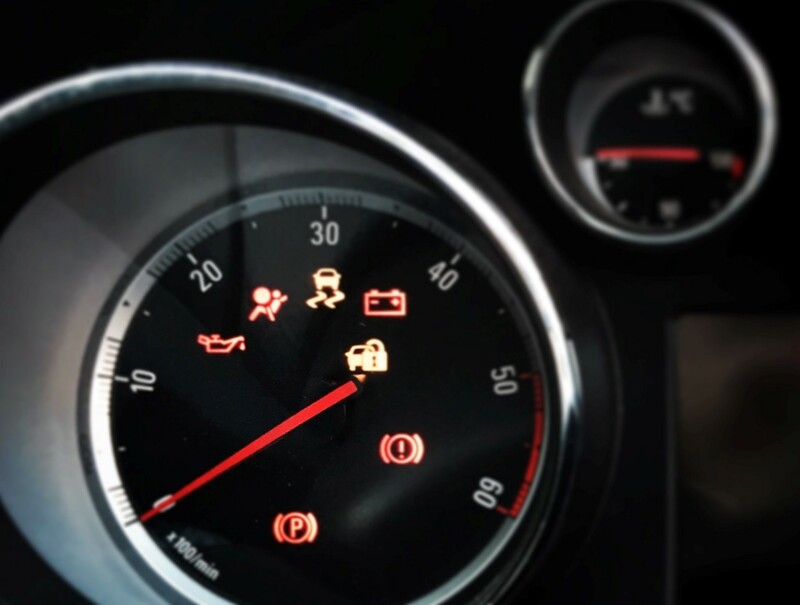 We hope you’ve found reading our breakdown and explanations of what your car’s dashboard warning lights mean useful. Now if warning lights come on, you should know what to do. Remember that it’s always worth taking your car to a garage to check any mechanical niggles or worries. But if you want to fix body and paintwork damage on your car, a garage might not be the best place. ChipsAway offer a fully mobile car body scratch repair and dent removal service that’s cheaper and more convenient that a bodyshop repair. Plus our trained technicians can repair bumper scuffs and fix kerbed alloy wheels too. Get a free repair quote online today.